Saturday I led a hike in the Coso Wilderness for the KRVHC. 15 of us including some guest friends from Ridgecrest made the hike. 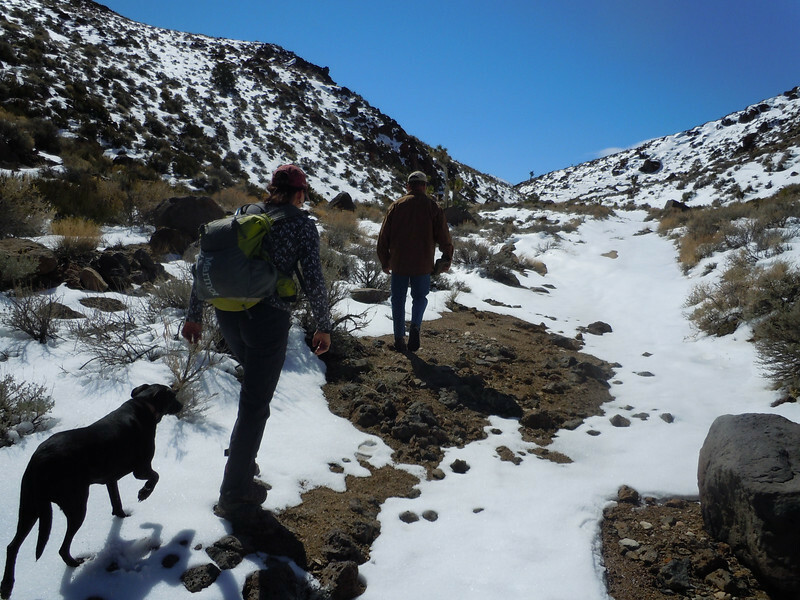 Although there was still residual snow from last weeks storms, it was still a good day for hiking. We saw lots of pictographs. We also saw a small herd of wild mustangs and some F-4 wreckage. On the way home the IWV Brewery was closed but we did stop next door at the lodge and have dinner and some local brew.